Is VitaPulse® Good for Your Heart? But, like any part of your body, things can still go wrong. Genetics and aging play a big part in heart health and your heart can suffer the ravages of time. Unlike a sore knee or achy back, you can’t really give your heart a rest so that it can recover and recuperate. For instance, if the average heart beats 80 times per minute, that’s 4,800 beats per hour, 115,200 beats per day, and 42,048,000 beats per year. If you live to the age of 80, your heart will beat approximately 3,363,840,000 times. Clicking on the links above will take you to Amazon, where you can see pricing and reviews. Heart and circulatory problems are invariably severe. Coronary heart disease (just one of the conditions that can affect your heart) is the leading cause of death in the United States and most other developed countries. Statistically speaking, one in four deaths are directly attributable to heart disease. Your heart is a precious thing and it makes sense that you should do all you can to look after it. Avoiding excessive stress, not smoking, drinking alcohol only in moderation, exercising, eating healthily, and reaching and maintaining a healthy body weight can all help. However, according to Princeton Nutrients, their supplement VitaPulse® can help too. Designed for anyone with existing heart problems, or those who want to avoid them in the future, VitaPulse® uses only natural ingredients, is gluten and lactose-free, and is suitable for vegans. It should be noted that, while VitaPulse® IS designed to improve the health of your heart and circulatory system, it is not intended to replace heart medication. If you have any cardiovascular health issues, it should be used to supplement medication prescribed by your doctor. This product was developed by Dr. Arash Bereliani, the Director of the Beverly Hills Institute of Cardiology and Preventative Medicine and a Board-Certified Cardiologist. Dr. Bereliani is Princeton Nutrients chief advisor and researcher. The recommended dose for VitaPulse® is one capsule per day at whatever time suits you best. Princeton Nutrition suggests that you take VitaPulse® at the same time each day to make your use of the supplement habitual. VitaPulse® can be taken with food or on any empty stomach as preferred and comes with a 90-day money back guarantee. 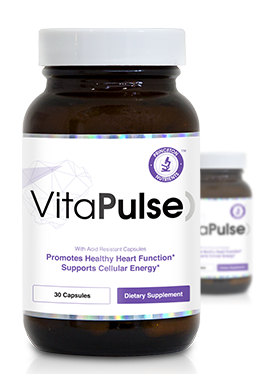 VitaPulse® is a cocktail of three well-known antioxidants – CoQ10, NAC, and PQQ Na2. Antioxidants prevent something called free radical damage. Free radicals are molecules with unpaired electrons in their outer shells. This makes them reactive, volatile, and dangerous. Free radicals, in an attempt to regain their lost electron, attack healthy molecules causing damage as they do so. This creates more free radicals that attack more healthy molecules—creating a cascade of unhealthy reactions. Antioxidants are thought to put the brakes on free radicals by giving up an electron but without becoming unbalanced themselves. Think of antioxidants as friendly police officers keeping the peace inside your body. Your body does its best limit the damage caused by free radicals by producing antioxidative enzymes, but modern life can lead to more free radicals than our bodies can handle. That’s where antioxidative nutrients like CoQ10, NAC, and PQQ Na2 come in. 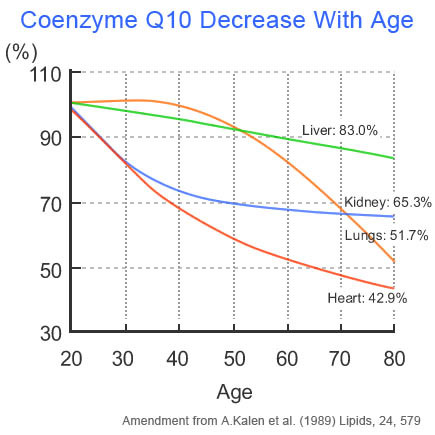 For more on the benefits of CoQ10, please see this article by the world-famous Mayo Clinic. CoQ10 is not just a natural substance; it is something we make in our bodies. Age and a bombardment of free radicals and other toxins can cause levels to fall. Supplementation is the only reliable way to get those levels back up. CoQ10 is vital for cellular energy production and is a powerful antioxidant that is required for proper cell function. As such, it is considered an essential nutrient. Foods such as broccoli, dark leafy greens, nuts, fish, shellfish, pork, chicken, and beef, are all good sources of CoQ10 but, even then, they do not contain very much. The only effective way to get sufficient amounts of this substance is through supplementation. Many studies support the efficacy of CoQ10 for treating and preventing cardiovascular problems. It is considered to be safe and presents no significant drug interactions or other side effects. 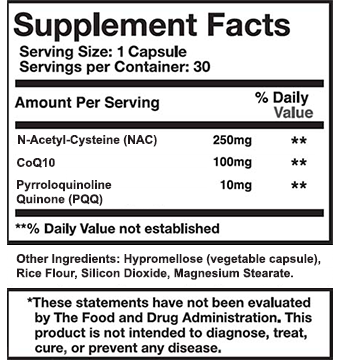 NAC is a version of cysteine, which is an amino acid. It has several functions, but the most noteworthy is supporting the synthesis of the antioxidant enzyme glutathione reductase. Glutathione reductase is one of the several antioxidative enzymes produced in your body that work together to disarm those marauding free radicals. NAC also appears to raise nitric oxide levels, which helps to dilate blood vessels leading to reduced blood pressure and increased blood flow. Both are essential for cardiovascular health. Leafy greens, broccoli, garlic, and even some fruits such as peaches and strawberries contain glutathione reductase but, unfortunately, dietary glutathione reductase cannot survive the digestive process. The amino acid cystine can be found in meat (including pork and poultry), eggs, dairy, red peppers, garlic, onions, broccoli, brussels sprout, oats, granola, wheat germ, sprouted lentils. However, very little is available for use in the production of glutathione reductase. The only reliable way to increase your levels is to increase how much your body makes. Studies performed on NAC used doses of up to 1200 mg, whereas VitaPulse only contains 250 mg per serving. PQQ is chemically similar to CoQ10 and, like CoQ10, occurs naturally in our bodies. Levels decline with age. PQQ is less well-known and less researched than CoQ10, but studies suggest that as well as being a powerful antioxidant, it can help reduce harmful levels of cholesterol. It can also lower levels of uric acid, which correlates to a reduced risk for gout, diabetes, and kidney stones. As heart health is paramount to longevity and life quality, VitaPulse® offers some important benefits that many of us would enjoy. Coronary heart disease is the leading cause of death and anything that reduces that risk has the potential to be life changing. Because it’s a three-in-one supplement, it’s very convenient to use. You only need to take one per day. The capsules themselves are not too big which makes them easy to swallow – an important consideration for older users and those of us who struggle to swallow pills. On the downside, VitaPulse® is expensive and you pay a premium for the three-in-one formula. If you buy the three ingredients separately, CoQ10, NAC, and PQQ Na2, you’ll have to take more pills but, in doing so, can save yourself a lot of money. Another point of contention is that there are two types of CoQ10: ubiquinone and ubiquinol. VitaPulse® contains ubiquinone, which then must be converted into ubiquinol before it can be used by your cells. This means that VitaPulse® does not contain the best possible form of CoQ10. With ubiquinol, you get more bang for your buck and studies suggest it is a more effective way to use CoQ10. Because VitaPulse® is a premier product, it would have been nice to see ubiquinol in the ingredients list. The main reason is that while the ingredients have been proven by science, the supplement itself has not. There is no reason to think it WON’T work but the only evidence that supports the use of VitaPulse is anecdotal rather an empirical.